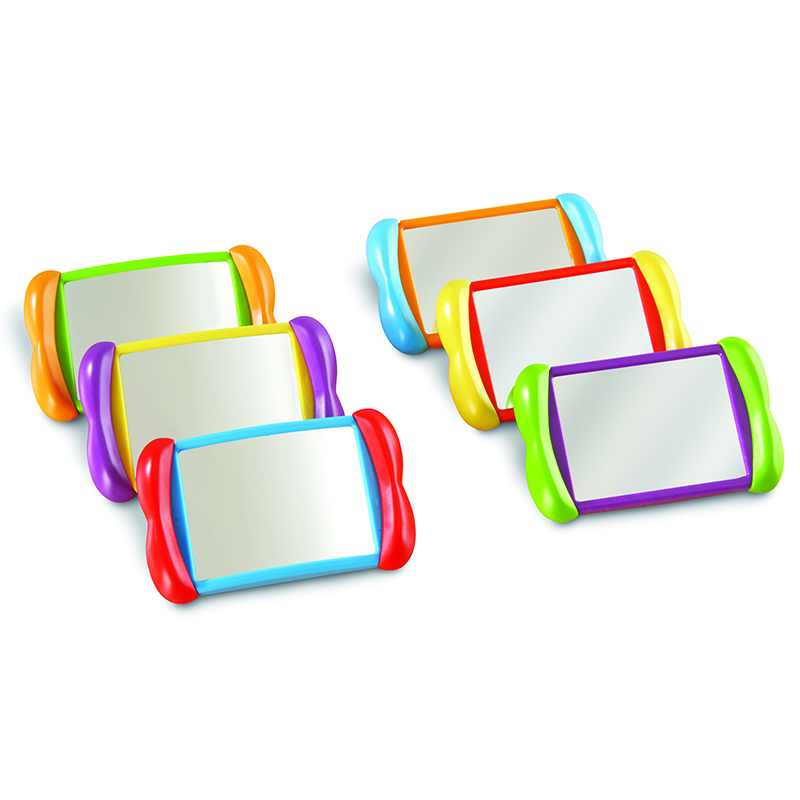 Help young children learn all about themselves with easy-to-hold, double-sided mirrors! One side is a regular mirror. The other side is a "fun mirror" that warps reflections. Use to teach body awareness, talk about emotions and much more. Includes: 6 unbreakable, non glass mirrors. Mirrors measure 6"L x 4"H. Grades: PreK+. Learning Style: Visual. Skill Development: Social/Behavioral - Talk about mood and expression and have students practice making their "mad face" or "happy face" in the mirror so they can see what it looks like. This also helps them to recognize those feelings on others' faces. Language - Mirrors are a great way to help students see and practice the position and movement of their mouths and tongues to make sounds and words.